Brown Essence is a dual-layered metal art design. 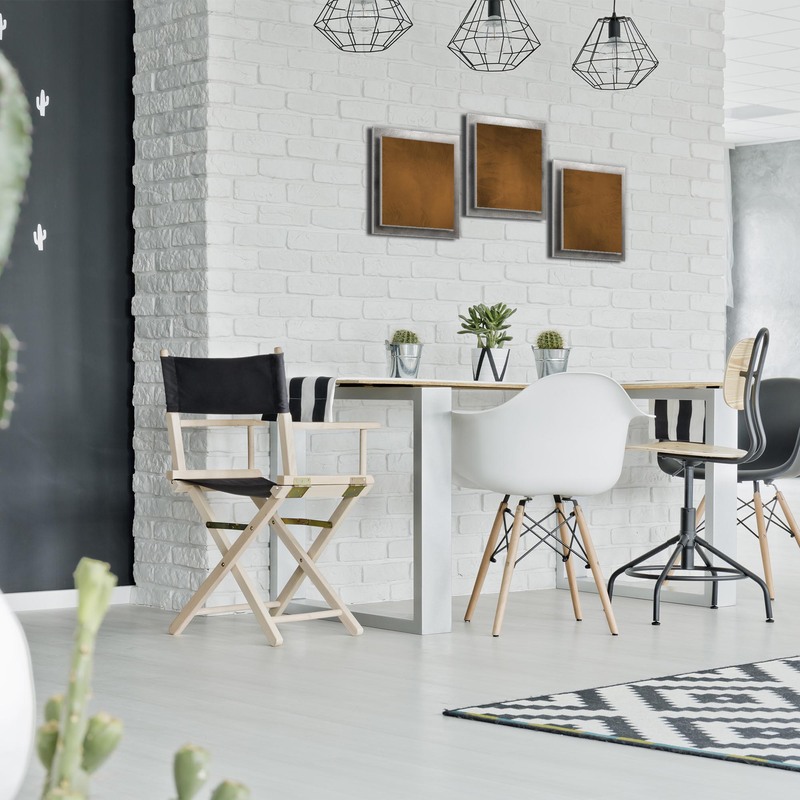 The multilayer and multi-panel combinations create sculptural depth and intriguing shadowing, giving this contemporary wall Decor an added element that is missing from typical flat wall art. The set-back, rear layer has a grind pattern texture applied to create an interesting framed backdrop. The raised front layers feature a soft brown accent color. The unique satin matte finish contrasts nicely against the silvery metal back panel on each of the three sections. A hybrid modern-rustic design, the earth tones emit an earthy and relaxing ambiance. The golden brown shades are similar to the colors of autumn, with a comfortable, soothing sensation accented by the cool metal borders. 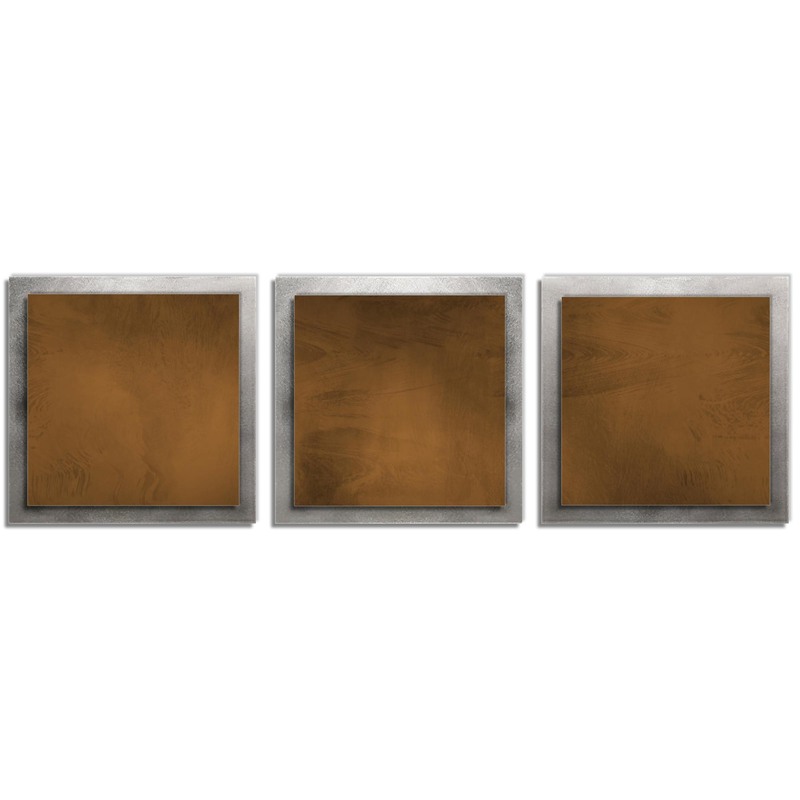 The rectangular metallic design will fit any contemporary home, office or cabin/lodge setting.